FEATURE — Customers searching for authentic Mexican food in Utah have to look no farther than Don Pedro’s. Don Pedro’s Family Mexican Restaurant, which started out in Evanston, Wyoming, in 1995, now has six locations, three of which are in Washington County: St. George, Washington City and a new one in Springdale, which opened last year. The other three Don Pedro’s restaurants are outside of Utah, with two in Wyoming and one in North Dakota. The Washington City location has been in operation for about eight years, said manager David Falconburg. “This location is a good spot. It’s a great atmosphere,” Falconburg says, adding that, true to the word “family” in the restaurant’s full name, the employees share a close family-like bond. Many of them have worked with each other for several years. The Southern Utah locations are managed and supported by the Pico Sanchez family. “We’ve stayed very consistent with what we do, and we truly believe in what we do,” Falconburg says. 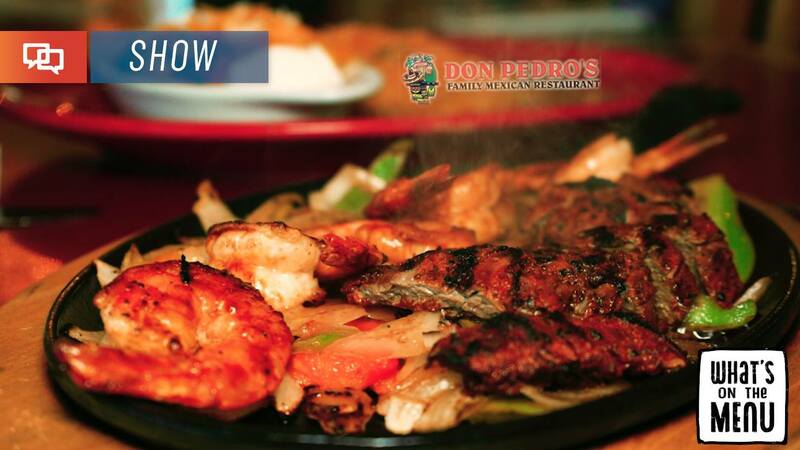 Don Pedro’s lunch and dinner menus feature many original family-created recipes that locals have come to crave. With an emphasis on delicious, authentic Mexican food and excellent service, Don Pedro’s staff strives to have all its customers become regulars after their first visit. See Sheldon, Grady and Aubrey visit Don Pedro’s in Episode 24 of “What’s on the Menu” in player above. Among the items recently sampled by the “What’s on the Menu” crew was the burrito verde, consisting of chunks of pork cooked with green sauce and wrapped in a burrito with rice and beans on the side. Another popular lunchtime dish is the enchilada a la crema, consisting of chicken enchiladas, rice and beans, and topped with green onions and a special white sauce. Other popular enchilada sauce options include ranchera, mole, chipotle and tomatillo. On the dinner menu, the sizzling steak and shrimp fajitas are one of the most popular items, Falconburg says. The fajitas platters also have chicken, pork and vegetable-only options available, served on either corn or flour tortillas. Don Pedro’s also features a wide selection of beverages, including margaritas, cocktails and other assorted alcoholic and nonalcoholic drinks. Locations: 567 Valley View Dr., St. George (click for map); 1004 W. Red Cliffs Dr, Washington City (click for map); and 792 Zion-Mount Carmel Hwy., Springdale (click for map). Hours: St. George and Washington locations open Monday through Thursday, 11 a.m. to 9 p.m.; Friday and Saturday from 11 a.m. to 9:30 p.m; and closed Sunday. Springdale location open Monday through Saturday, 11 a.m. to 10 p.m., and Sunday from 11 a.m. to 9 p.m.
Telephone: 435-673-0131 (St. George); 435-251-8094 (Washington); and 435-772-0123 (Springdale). There’s some serious good food here! We’ve eaten at both the St. George and the Washington stores, many times. I look forward to trying the Springdale store. My only negative comment is about their margaritas. They come from a can and taste that way.